Welcome to our December 2014 e-Newsletter! Think finding a house in Toronto is a challenge as a buyer? You may be surprised to learn it's also become a challenge for developers as even the most dilapidated homes are causing bidding wars. Below is a link to an interesting article from the Globe. Big renovations are not for amateurs! If you're looking for gift ideas for the loveable nerd in your life, HGTV has a photo spread of 23 decor ideas. The keyboard waffle iron and and the toast printer are the highlights. I also have four listings which include a spectacularly upgraded two bedroom corner unit at Radio City, a renovator's dream condo at Harbourfront and a unique two-level loft-style condo in The Annex/ Yorkville. As always, I thank you for your past and future business and any referrals you may have are greatly appreciated. Have a wonderful holiday! 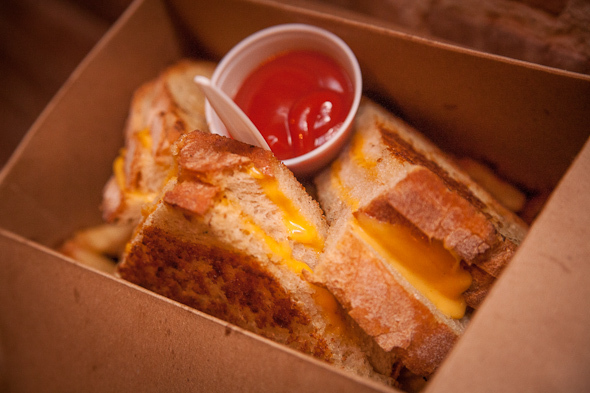 Late night grilled cheese sandwiches in Toronto let you enjoy some gooey goodness after last call. Sure, a grilled cheese may be manageable at home, but these restaurants (usually) make an extra effort to use more than Kraft slices and wonder bread. Plus, burning the edges while zoned out and watching TV is not a menu option. As Toronto's real estate market continues its wild run, it's not just potential homeowners who are having trouble finding affordable properties. For infill developers and resellers - otherwise known as flippers - bidding wars and wild-eyed buyers are making it hard to turn a profit rehabilitating broken homes. Generously proportioned, multi-level, 1 bedroom Harbourfront suite awaits your personal touch. Move right in read or update ot taste - a true entertainer's space! Oversized living and dining rooms both with Juliette balconies. Large eat-in kitchen with lots of prep space. Private master with four piece path, parking and locker includes. 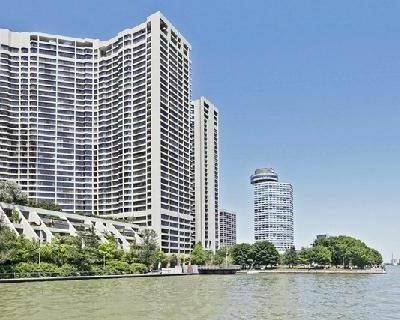 Super convenient location on the lake, steps to Harbourfront Centre, CN Tower, Rogers Cenre, Financial Core, Loblaws, LCBO, transit and more. Rare Radio City! 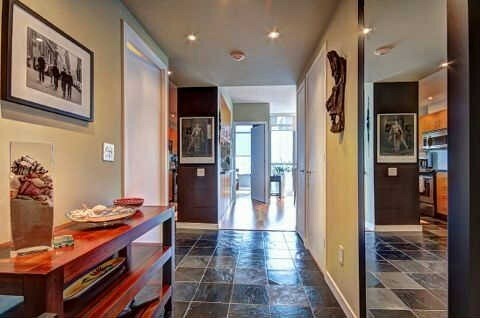 Extraordinary & Spacious 2 Bedroom, Corner Suite With Soaring 9' Ceilings, Sunny South East Exposure, Parking & Locker! 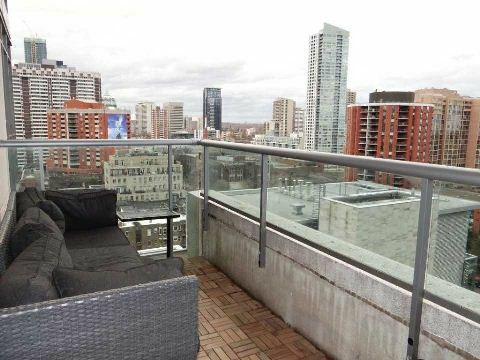 Private Balcony Retreat W/ City Views, Gourmet Modern Kitchen W/ Granite & Stainless Steel. 2 Lux Baths W/ High End Upgrades. Vibrant Community Groove With Shops, Restaurants, Loblaws, Universities, Ttc, College Park & Financial Core Only Steps Away. 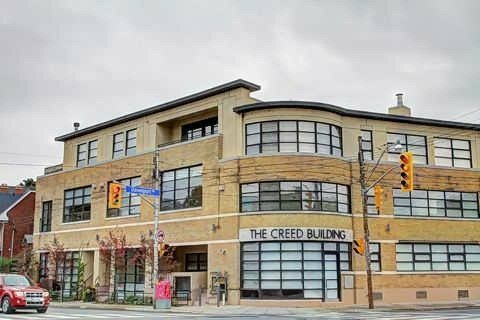 Historic Creed Building, Rare Priv Townhouse Style Loft Fronting On Bedford, Well Over 1400 Sf, Open Concept Main Flr Kit/Living/Dining W/Gleaming Hardwood, Gas F/P & Powder Rm, Lower Level Retreat W/Huge Master, Tons Of Closets, Slate Ensuite W/Sep Shower & Sep Family-Sized Den Perfect For Movie Nights Or Home Office. Steps To Yorkville, Annex, Galleries, Museums, Transit, Restos & Shopping. Fully Furnished Radio City Two Bedroom Condo Facing North East, Generous Room Proportions, Modern Kitchen With Granite Countertops, Large Private Balcony With Urban City Views, Freshly Painted And Ready For January 1st Occupancy, Fantastic Amenities Including Gym, Guest Suites, Visitor Parking, 24 Hour Concierge And Steps To Loblaws, Universities, Parks, Financial Core, Shopping, TTC And All Downtown Core Has To Offer. 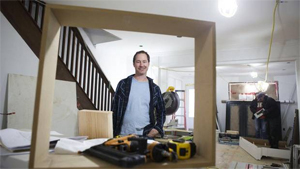 TORONTO, December 4, 2014 -- Toronto Real Estate Board President Paul Etherington announced that Greater Toronto REALTORS� reported 6,519 residential transactions through the TorontoMLS system in November 2014. This result was up by 2.6 per cent compared to 6,354 sales reported in November 2013. Through the first 11 months of 2014, total sales amounted to 88,462 - up 6.6 per cent compared to the same period in 2013.